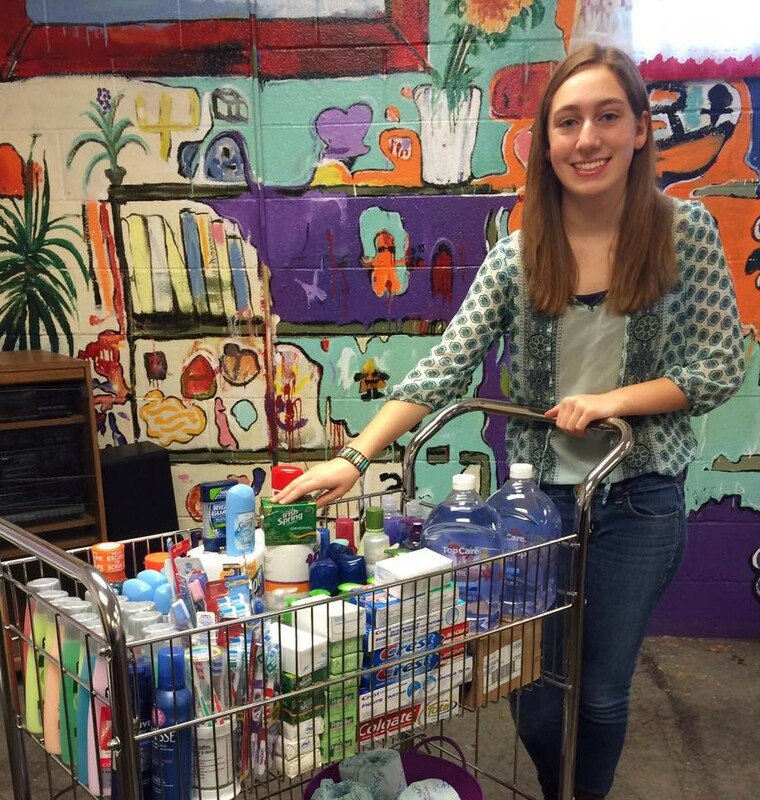 A Syracuse-based social action organization founded to provide toiletries and household cleaning products to people in need recently made its way to our own Jewish Family Service via 15-year-old founder Adena Rochelson and a chance Allentown connection. Rochelson, founder of “Operation Soap Dish,” recently delivered a large number of boxes of toiletries to JFS. “This is such a welcome gift and a wonderful surprise,” JFS Executive Director Debbie Zoller said of the donation. She decided she would do what she could to change that situation. With her $4.50 weekly allowance money as well as deposits collected from returned cans and bottles, Rochelson began purchasing items for the local pantry. She also began reaching out to the community to promote awareness of this need and to collect donations. Operation Soap Dish was the result, and to date, over 28,000 items (28,914 to be exact; Rochelson personally counts and logs each item) have been collected and donated to locations throughout the Syracuse area such as food pantries, the Ronald McDonald House and shelters for women and children escaping domestic abuse. For more information on Operation Soap Dish, visit www.operationsoapdish.org.